#CWNSYP webinars are organized by students and young professionals for students and young professionals across Canada. Register early — these free webinars fill up quickly. This webinar will explore best practices and lessons learned in building and maintaining relationships with community partners. Particularly for knowledge producers in academia and beyond, enhanced partner engagement and tailored communication are critical to this process. 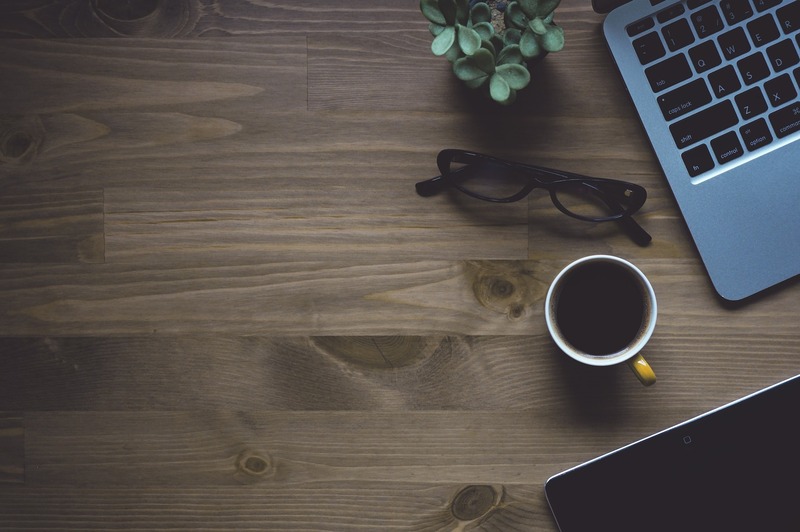 Learn about various techniques for effective working relationships, then dive deeper with key tips for communications outreach, focusing on poster design. In just one hour, you’ll gain some great insights on how to ensure success when co-designing and co-generating research, as well as refine skills for sharing the results with others. With this webinar, knowledge producers will be empowered to work effectively with partners and further research applications. Peter Duinker is a Professor in the School for Resource and Environmental Studies at Dalhousie University’s Faculty of Management, and President and Co-Principal in the consulting firm Sylveritas Ltd. He teaches and researches a wide range of topics and is one of Canada’s leading scholars and practitioners on the topic of sustainable forest management. He held Lakehead University’s Chair in Forest Management and Policy from 1988 to 1998, served as Research Area Leader for the Sustainable Forest Management Network of Centres of Excellence from 2000 to 2009, and was member and chair of the CSA Sustainable Forest Management Technical Committee from 2000 to 2015. Peter has worked closely with governments, companies, and NGOs across Canada on issues related to sustainable forest management and policy.  Allie Dusome is the Communications Officer at the University of Waterloo’s Water Institute, and is responsible for strategic communications planning, knowledge dissemination and outreach to the key audiences that the Water Institute seeks to influence. Allie supports communication efforts for research projects at Waterloo, including Global Water Futures and the forWater Network, as well as the University of Waterloo’s Collaborative Water Program. Allie has multiple years of experience working with University of Waterloo professors and graduate students, helping to transfer and share knowledge about their research in an impactful way. Dani Lindamood is the Knowledge Mobilization Manager at forWater Network, working to maximize research impacts and support network partners. She has engaged in sustainability-related work around the world, and holds a Masters of Environmental Management from the School of Environment, Enterprise and Development at the University of Waterloo. Her other credentials include a certificate in collaborative water resource management, experience working with academic and social enterprises in the water sector, facilitation training and a science communications background. Dani is passionate about the water sector is the co-founder of “Girls Gone Water,” a platform that helps people cultivate a connection to the natural world using water and storytelling. The drinking water crisis impacting First Nations on-reserve is among the most pressing water policy issues in Canada today. All levels of government have a responsibility to engage in innovative approaches to water governance that address this crisis and advance reconciliation. In this webinar, our guest speakers will discuss how Community-Based Research Methods (CBRM) can be applied to improve approaches to water management and governance with Indigenous peoples. Learn about the theory and principles of CBRM, the distinct and unique considerations that apply in an Indigenous context, and how governments can apply these methods in a municipal planning context. Through illustrative case studies, the webinar will explore how CBRM can provide guidance to municipalities interested in improving their relationships to First Nations with respect to current and future water planning initiatives. Deborah McGregor joined York University’s Osgoode Hall law faculty in 2015 as a cross-appointee with the Faculty of Environmental Studies. Her research has focused on Indigenous knowledge systems and their various applications in diverse contexts, including water and environmental governance, environmental justice and sustainable development. Professor McGregor’s research has been published in a variety of national and international journals and she has delivered numerous public and academic presentations relating to Indigenous knowledge systems, governance and sustainability. She remains actively involved in a variety of Indigenous communities, serving as an advisor and engaging in community-based research. She recently launched a website on Indigenous environmental justice: iejproject.info.yorku.ca. Nicole J. Wilson is a scholar of settler origin whose work examines Indigenous peoples’ relationships to water and water governance in the context of settler-colonialism and environmental change. She is committed to conducting Community-Based Research and has done so in partnership with a number of Indigenous governments and organizations in Alaska and Yukon. She is a post-doctoral fellow at the Peter A. Allard School of Law at the University of British Columbia. She is currently collaborating with Carcross/Tagish First Nation to develop strategies to implement their land claim and self-government agreements in a way that fulfills their sacred responsibility to respect and protect the waters within their traditional territory. Nicole holds an MS in Natural Resources from Cornell University and a PhD in Resource Management and Environmental Studies from UBC. Learn how to participate in the Ottawa River watershed study and take away some innovative ideas on developing meaningful community watershed connections. Marina Steffensen is a Policy Analyst with Environment and Climate Change Canada. She is also a representative on CWN’s Student and Young Professional Committee. Marina recently finished a master’s degree in resource management and is passionate about bridging the gap between science and solutions. Oliver Dumville is also a Policy Analyst with Environment and Climate Change Canada, and was a representative of CWN’s Student and Young Professional Committee from 2015 to 2017. He holds a degree in Ecology, a graduate diploma in integrated coastal and ocean management and a master’s degree in public administration. La conférence propose de présenter le développement d’EnkiMD, une interface spécialement conçue pour répondre aux besoins municipaux quant à la gestion des données et aux échanges avec les consommateurs. La communication directe entre les gestionnaires et les citoyens présente d’importants atouts. D’un côté, la transparence dont fait preuve la municipalité sert à renforcer le lien de confiance avec le public et à sensibiliser les citoyens aux enjeux liés à l’eau potable. De l’autre côté, recueillir des informations sur l’eau du robinet directement du citoyen fournit des données précieuses au personnel municipal, lui permettant une gestion plus efficace et intégrée. La conférence se focalisera sur les étapes du développement de l’interface, et des exemples d’application concrets illustreront l’utilisation de la technologie pour résoudre des défis municipaux. À travers la description du projet réalisé avec la Ville de Québec, il sera également possible de constater tout l’intérêt de cet outil pour favoriser la participation citoyenne au sein des municipalités québécoises. Anna Scheili possède plus de dix ans d’expérience professionnelle et académique en sciences de l’eau. Elle a terminé un doctorat à l’Université Laval portant sur la variabilité spatiotemporelle de la qualité de l’eau potable dans les petits réseaux. Aujourd’hui, Anna met à profit ses connaissances et sa grande expérience dans la réalisation de ses mandats à titre d’experte-conseil au sein de WaterShed Monitoring. Son travail consiste en l’élaboration des solutions innovatrices pour répondre à des besoins de stockage et d’analyse des données sur la qualité de l’eau, tout en optimisant l’acquisition de connaissances dans les domaines de gestion de l’eau, d’aménagement urbain et de recherche scientifique. Are you just finishing school? Working at a job that isn’t related to your education? Looking to move up from an entry level position? Camille will discuss different work environments in water and share application strategies for jobs in the municipal, provincial or federal sectors, industry, NGOs and consulting. She’ll discuss how to network effectively, as well as some alternatives to networking if you’re a natural introvert. Take away some tried-and-true ideas to build an interesting and successful career in water. Camille Leung is the manager of safety, process and compliance at the Ontario Clean Water Agency. She holds a bachelor’s degree in process engineering with a minor in bioengineering, and a master’s degree in environmental science and engineering. She has worked in food, quality assurance and control, research and asset management, but her true calling is water and wastewater. Camille is passionate about youth education. She has facilitated workshops for Engineers Without Borders’ Water for the World program. She also promotes the “I don’t flush” campaign at local events and is on the Grey Bruce Children’s Water Education Council. Camille is currently an ambassador for OneWater and is designing a water and wastewater mobile education centre. In the late 1990s, the Town of Okotoks (population 28,881) made the pioneering decision to live within the limited carrying capacity of the Sheep River Watershed. Over the past 15 years, while experiencing 41% population growth, the Town has remained within its allocated licensed water capacity. 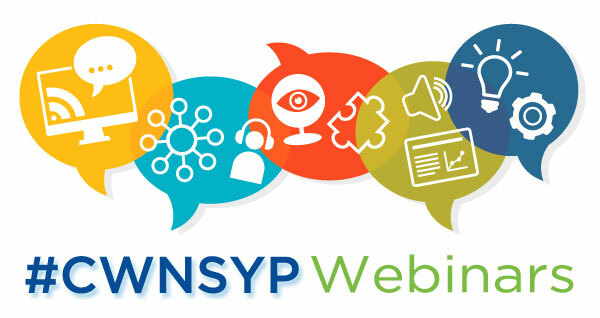 This free #CWNSYP webinar will explore the Town’s most successful water conservation programs to-date, current challenges and future ideas and concepts. Dawn Smith joined the Town of Okotoks as the Environment and Sustainability Coordinator in the fall of 2008. Her responsibilities include developing, monitoring and reporting sustainable initiatives, both within the corporation and throughout the entire community. Her work includes short and long-range planning for community development, infrastructure, energy management, water management, waste management, sustainable procurement and climate change adaptation. Have you ever wondered how long it takes a drop of rain to reach a river? In this #CWNSYP webinar, learn how naturally-occurring heavy and light types of water (isotopes) help water scientists track water as it flushes through shallow soils, streams and deeper groundwater aquifers. Learn how scientists discover how “old” water is, and why understanding how long it takes a raindrop to reach a river matters for the quality and supply of our water resources. Scott Jasechko is an assistant professor of water resources at the University of Calgary. He completed his master’s at the University of Waterloo and his doctorate at the University of New Mexico before joining the University of Calgary in January of 2015. Scott’s research pieces together big diverse datasets to try to better understand how water moves around planet Earth. The initial deadline for achieving the European Union’s Water Framework Directive’s (WFD) key objective of achieving ‘good’ ecological status for all waters passed in December 2015. Émilie Lagacé holds a BSc in Environmental Sciences from McGill University and an MSc in Water Science, Policy and Management from the University of Oxford. Her paper on the WFD was awarded the Area Prize by the British Geographical Society. In 2009, she won a Water Policy Fellowship from the Gordon Foundation to study what Canada can learn from the European Union on collaborating for water management. Émilie conducted this research while living and working in the UK. Her findings were published in a briefing note of the Forum for Leadership on Water, in the Hill Times and in Water Canada Magazine. Émilie’s professional experience spans the federal public service, the private sector overseas and environmental non-profits for whom she designed and facilitated innovation labs. She currently works at Environment and Climate Change Canada on environmental assessment policy. This webinar was based on recent research conducted by ECO Canada and incorporated survey results, expert interviews, a literature review and job posting analysis. Guillermo Cuevas joined ECO Canada in 2013 as a Research Specialist. His primary responsibility is to augment the knowledge that ECO Canada has regarding the environmental labour market, including numbers of environmental workers, the types of activities they engage in, and what challenges they face. Pablo Pina is a hydrologist with Integrated Environments. He holds an MSc in watershed management and environmental biology, and a PhD in water and land resources. His professional journey across diverse and fascinating environments showed him the intimate link between culture and nature, and sparked a passion for sustainability. Pablo’s technical expertise is in the design and analysis of water monitoring programs for industry, government and nonprofits. He’s led and collaborated in cross-sectoral projects related to environmental planning and management in both Canada and abroad. Pablo is interested in understanding the critical drivers that contribute to resilience, including innovation, teamwork, leadership, engagement and communication. While building our cities, streams have been viewed as a convenient means of conveying sewage and storm runoff out of the city. We’re now beginning to better understand the value of our urban watershed and its important contribution to wildlife, aesthetics and system resilience in our urban environment. Watershed function and health can be revitalized through improved technology, heightened public awareness and policy development. During this webinar, Dana McDonald will discuss stewardship and public engagement case studies and highlight their connection with watershed governance. Amy Greenwood will talk about how government policies, urban design trends and Salmon-Safe certification are incentivizing the adoption of green infrastructure in the public and private sectors. Dana McDonald is a Project Manager with Evergreen where she leads stewardship and restoration initiatives. She comes from an earth science background, with additional training in stream restoration design and a certificate in watershed management from the University of British Columbia. Dana has worked on watershed restoration and management projects in Alberta and British Columbia. Previously, she was also a hub manager with Waterlution. Amy Greenwood has been a member of the Fraser Basin Council’s Watersheds and Water Resources team since 2006. As Assistant Manager, she leads sustainability initiatives, including watershed health assessments, indicator reporting and the Salmon-Safe Communities initiative. Amy also works with stakeholders and urban planning professionals throughout Metro Vancouver to implement green stormwater infrastructure. She holds a master’s degree in environmental science and a bachelor’s degree in geography from the University of Canterbury in New Zealand. As water practitioners we have a lot to learn from traditional knowledge. Exploring various perspectives allows us to compare and learn from each other’s experiences, creating shared values that are important for understanding and applying this knowledge. Tessa Terbasket is a member of the Lower Similkameen Indian Band of the Okanagan Nation, located in the southern interior of British Columbia. She works as the Fisheries Harvest Coordinator at Okanagan Nation Alliance, and as a Youth Reconciliation Leader with Canadian Roots. Tessa is also Coordinator of Waterlution’s Aboriginal Youth Water Leaders program. A catalyst conversation creates connection, accelerates information flow and remains top-of-mind. Participants learned the do’s and don’ts of connecting and developed a strategic action plan to engage industry professionals. Tania DeSa helps professionals to ‘kick up their communication style’ to add value and achieve results. She holds an MBA from ESADE Business School in Spain and an Honors Bachelor of Business Administration from Wilfrid Laurier University in Canada. Circle of Blue is a team of leading international journalists, scientists, data experts and facilitators that report on challenges and solutions to global resource issues, with an initial focus on water. Circle of Blue members help inform policy makers and the public with timely, relevant information that leads to better decision-making in the 21st century. Carl will touch on some of Circle of Blue’s recent reporting connections between silo’d and disparate events and ideas. J. Carl Ganter is co-founder and director of Circle of Blue. He is an award-winning photojournalist, reporter and broadcaster whose work has appeared in most major magazines, newspapers, and television and radio networks. Carl received the Rockefeller Foundation Centennial Innovation Award 2012. He is the Vice-Chairman of the World Economic Forum Global Agenda Council on Water Security, and is on the advisory board of the US Institute for Globally Transformative Technologies at Lawrence Berkeley National Laboratories and the University of Alberta Water Initiative. Michael will demonstrate the benefits and opportunities available to water resources professionals by engaging in social media, concluding with a vision of where these opportunities may take the water resources profession in the future. Michael E. Campana is a Professor of Hydrogeology and Water Resources Management in the Geography Program of the College of Earth, Ocean, and Atmospheric Sciences (CEOAS) at Oregon State University and an Emeritus Professor of Hydrogeology at the University of New Mexico. He engages with students and the scientific community through LinkedIn, Twitter, and his blog WaterWired. In Canada, research on water resources largely neglects a gender perspective. This event will explore the water situation in Canada through a female lens, the role of women within the current water landscape, and women as economic drivers and leaders. The leadership will discuss Aboriginal women, women’s voices and expertise in Canadian water policy, young leaders and entrepreneurial innovation, and Canada within the larger global context. Margaret couples global-scale scientific investigations of water resources to the global-scale science of policy. The interactions of water with food, energy and direct human uses are investigated and connected. Margaret offers a call to action for Canada’s young water leaders, proposing several ways for Canadian water leaders to create positive change through water. Mark will discuss research conducted in the Grand River watershed on fish affected by emerging substances of concern that are released into the watershed in wastewater effluents. Groundwater as the world’s largest freshwater resource is of critical importance for irrigated agriculture and hence global food security. Tom will discuss global groundwater depletion and consider the steps required for humanity to use groundwater resources sustainably. Water nourishes life at all scales, ranging from water uses by plants during primary production, to essential services within the largest ecosystems. Tony will highlight the connections between freshwater and life, discussing how water shapes the foundation of Canadian ecosystems and how the health of these ecosystems is ultimately governed by the provision of clean, sustainable freshwater. October 24, 2012: What Does it Mean to be a Water Leader? Inspiring and connecting water users, managers and researchers from all viewpoints is one of the challenges confronting better management of Canadian and global freshwater resources. Karen Kun will discuss what characteristics are embodied by today’s water leaders, and the steps that students and young professionals can take to become water leaders of tomorrow. Jean-François’ presentation will focus on the role of information technology in managing water issues. He will describe IBM’s projects that support ecosystem monitoring and municipal water infrastructure management, including past projects, as well as herd ideas on where the future of information technology and water may lie. Diane’s presentation will draw attention to a selection of Canada’s most important interactions between water and economics, including water pricing, water demands, water quality perceptions and benchmarking efficient water production on the part of water utilities.